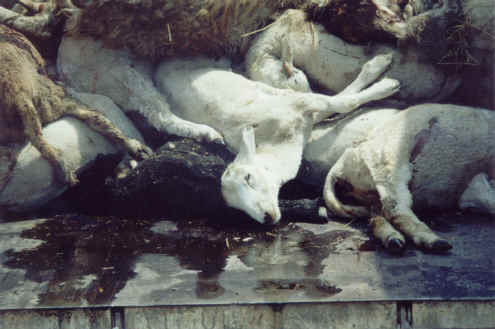 (Sheep and Lambs - Transport-02) Due to high temperatures and lack of water, these sheep died during their long journey . To the ungodly, hard of heart people who allow such things to happen, these incidents are considered acceptable losses. They couldn't have any feelings for the sufferings of these beautiful beings. 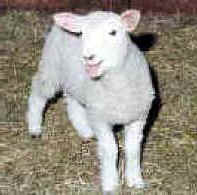 Every time we eat lamb, we participate in this suffering and death.